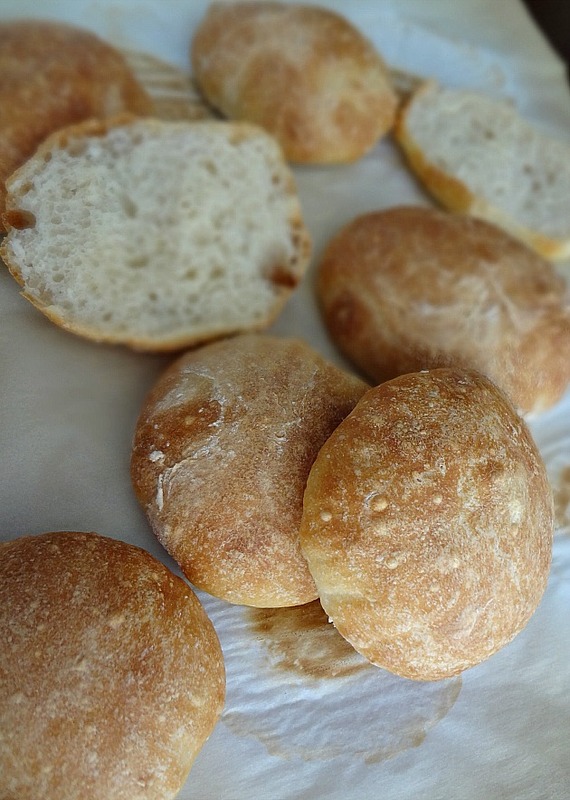 From Handle the Heat "How to Make Crusty Bread Rolls"
Note-You can use the same amount of active dry yeast instead of the instant/rapid rise yeast. 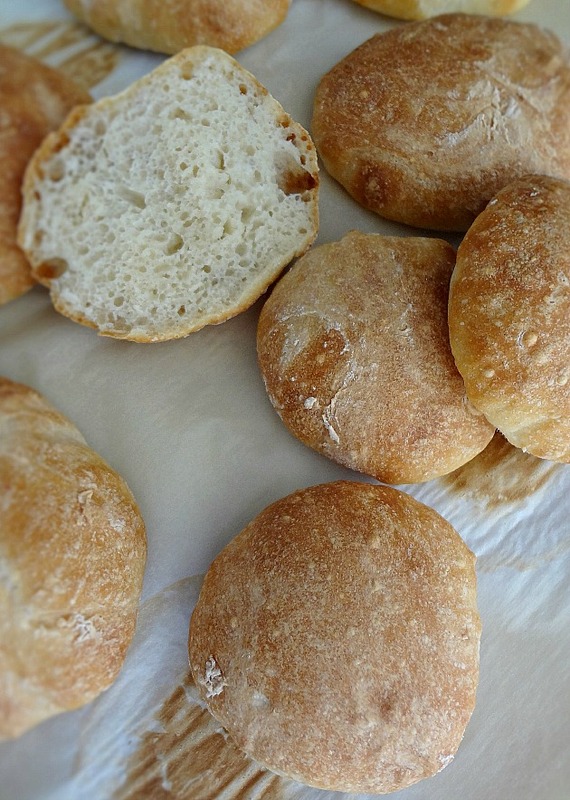 Just let the yeast sit in the warm water for 5 minutes before adding the rest of the ingredients. In a large bowl, combine all the ingredients and stir until thick and sticky. Cover with plastic wrap and let rise until puffy and bubbly on top, about 3 hours OR you can let the dough rise overnight in the fridge (if it's not risen enough after being in the refrigerator overnight, then let it sit in a warm place for about an hour, until it has risen). Using a dough scraper (or your hands) fold the dough over 12 times, using just enough flour to keep it from sticking too much (you do want the dough to be wet and sticky, so try to not add to much flour). Using the scraper, cut the dough into 8 equal pieces. Flour your hands and form each piece into a ball. 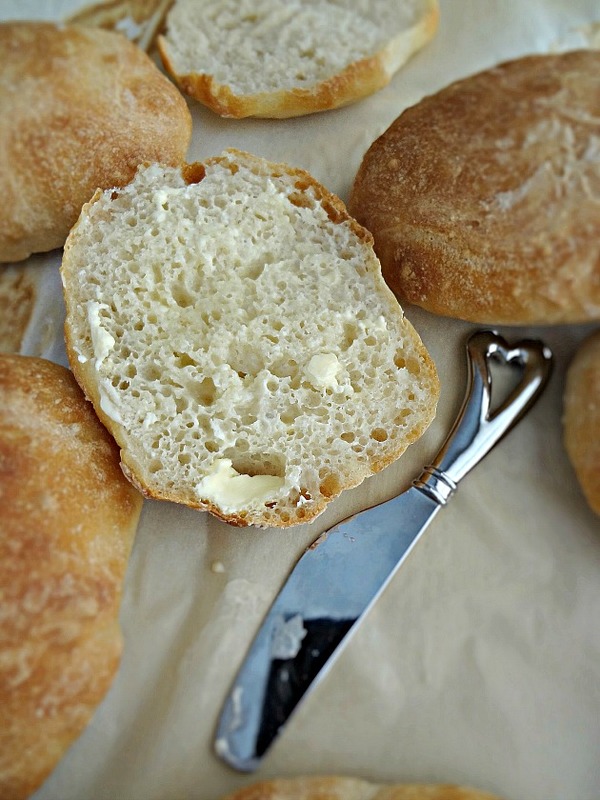 Place the dough rolls on a parchment lined large baking sheet and cover loosely with a clean towel. Let rise in a warm place until puffy, about 35 minutes. Preheat oven to 450F degrees (I highly suggest using an oven thermometer to ensure that your oven is exactly 450F degrees) while the rolls rise. Bake 20-25 minutes, until golden brown. Let cool a bit and then serve warm. 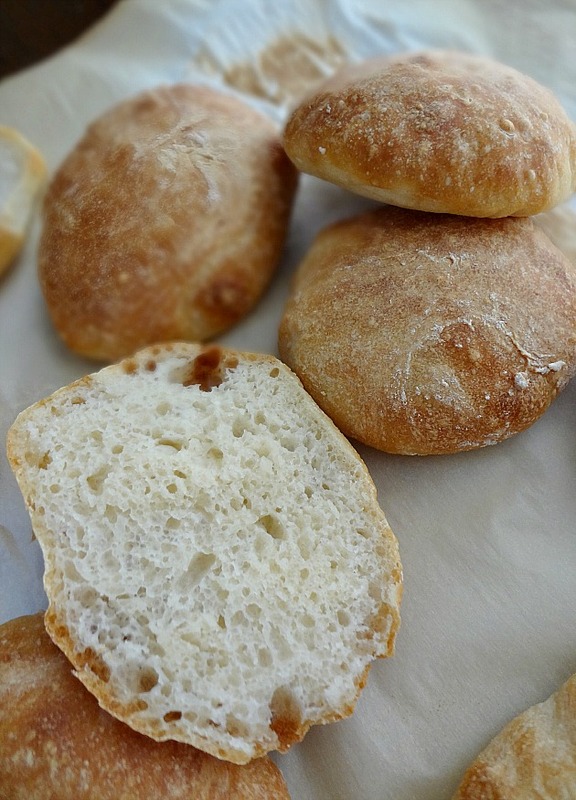 Store any leftover rolls in a container at room temperature for up to 2 days or in the freezer for up to 1 month. To regain the crusty outer texture in leftovers, reheat in a 325F oven for 5 minutes from room temperature or about 15 minutes from frozen. I love bread. Carb queen 4 lyfe.